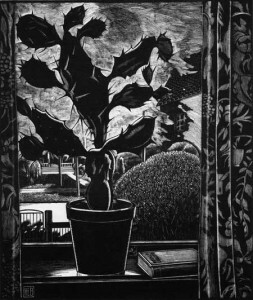 One of my wood engraving heroes is Canadian artist Eric Bergman (1893-1958). He lived out his career in Winnipeg, Manitoba, a city dear to my heart. 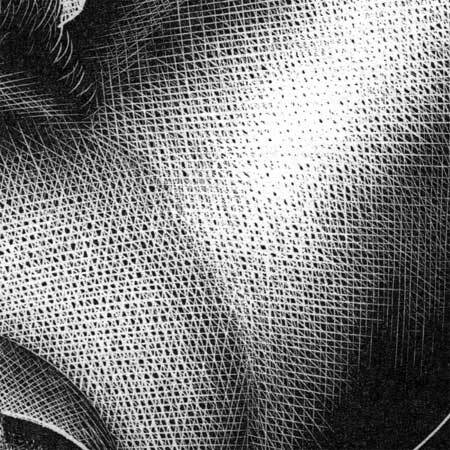 Bergman’s work exemplified incredible detail and control over a wide variety of textures in order to exploit tonal values available to the wood engraver. The print shown on the left (click to enlarge) is titled A Tribute to Beethoven’s 9th Symphony – 1936 (7 7/8 x 6 inches). It reveals his love of music by composers like Beethoven, Debussy or Ravel which he listened to while settling in to engrave a block during a long, cold winter night in Winnipeg. Later on he focused on landscapes and in the forties executed only plant studies done in microscopic detail displaying his penchant for perfectionism. Here’s an engraving of his called Still Life – Cactus – 1931 (5.5 x 5.5 inches). I really like the way he treated the background with his cross hatching techniques. Those passages appear painterly in approach rather than a mechanical kind of gradation in tone. But we can be assured that his engravings are never left to chance. His work was always the result of careful planning and carried out in a deliberate and exact manner. Yeah I really like his work ( and I like your linocuts, by the way). 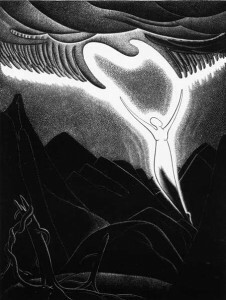 There’s a few other unsung engravers out there that I’ll try and bring forward in future posts. I am the granddaughter of Eric Bergman and stumbled across your posting under wood engraving. Pleased to see appreciation of his work growing – especially through the Internet now that the images are in the “public domain” – >50 years since his passing in 1958. If you ever have any questions please just ask. I can say that we know of 7 prints of Beethoven’s 9th – even though the edition was planned to be 25. 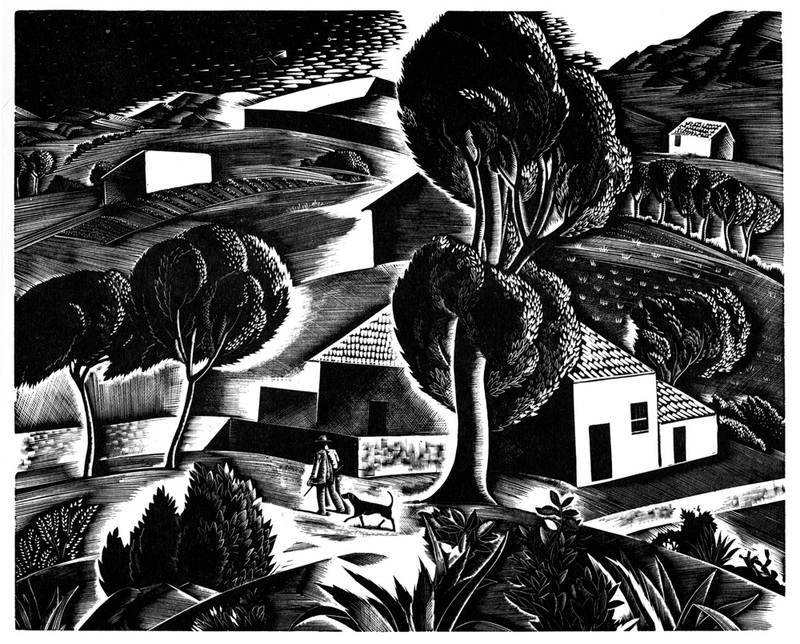 He never printed out the full editions for his body of work – about 100 wood engravings and a handful of colour block prints – I suppose planning to go back to it at some point. 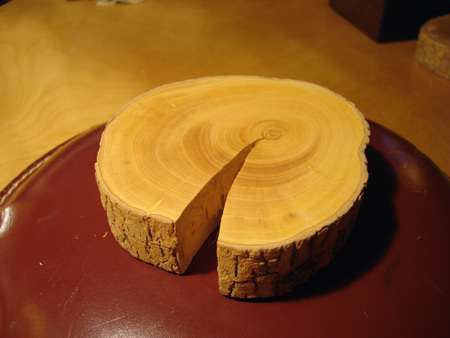 Unlike many other artists, the orignial wood blocks were not scored. Beethoven’s Ninth won an International print making award. What a thrill to hear from you! I’m such a huge fan of your grandfather’s work. 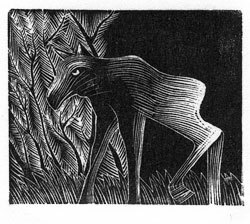 I really think that Canadian wood engravers such as Eric Bergman need to be celebrated more than they have been. I’ll contact you via your email address.